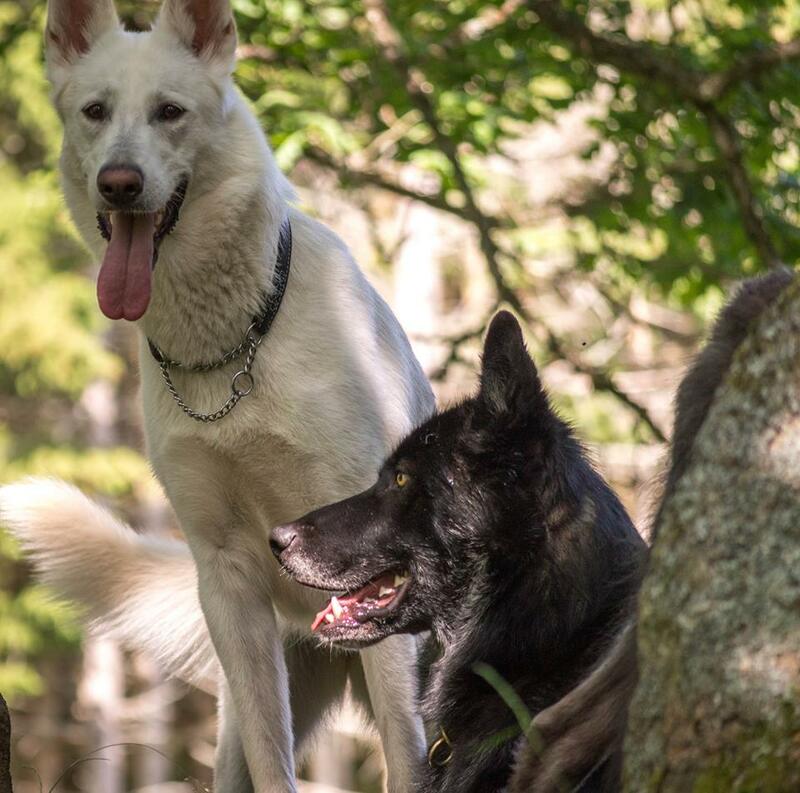 Some days ago we met up with some new friends and their beautiful dogs! We brought Fenja (not Zeke, cause sadly he is too aggressive) Fenja had a lot of fun. We've been thinking about buying a wolfdog.. But it is not an easy decision, since these dogs need special care and doesn't always act like a "normal dog" would do. 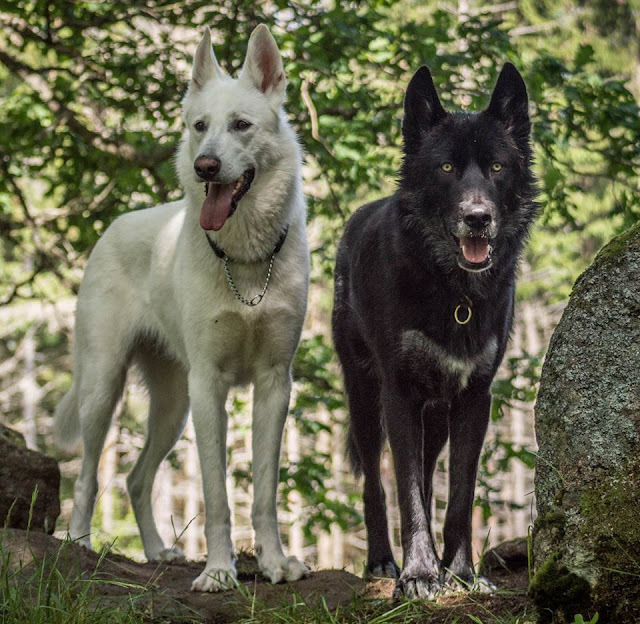 These dogs were low midcontent wolfdogs. The black one called "Grim" lives only a couple of minutes by car away from us! And he is so well behaved! We walked in the city, around people and other dogs. He didn't mind or get stressed at all. 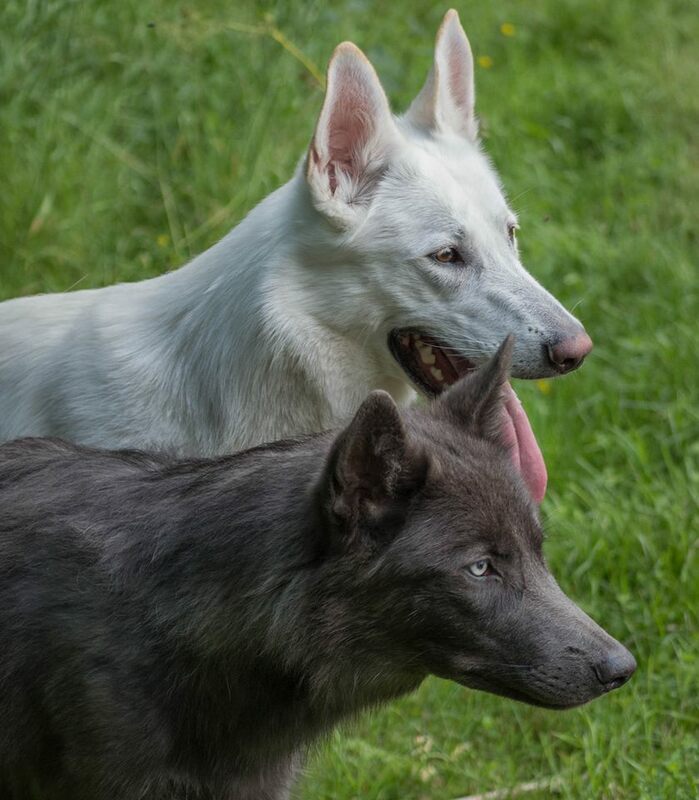 Tempest, the stunningly blue wolfdog is only seven months, so she was a bit uneasy but relaxed as soon as we got back to Grims owners farm. The above pictures are taken by Tempest's owner Alexander. (Wish I had a camera like that...) The fourth dog on the pictures below are of "Birk" he is almost the same mix as Fenja. Such a big gentle teddy bear he is.